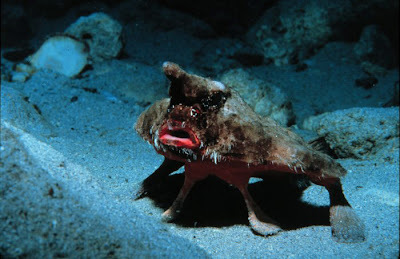 This strange undersea creature is a Bat fish. It uses this pose to intimidate or create fear in other creatures which may harm or try to eat it. Sounds familiar? But, does it really look like a bat?